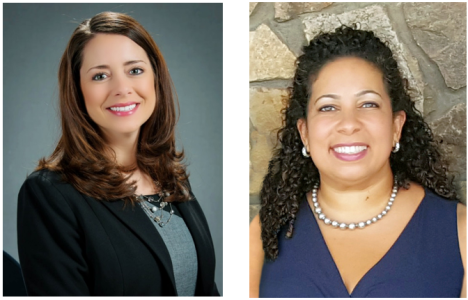 GREATER FORT LAUDERDALE, Fla. (October 25, 2018) —The Greater Fort Lauderdale Convention & Visitors Bureau (GFLCVB) welcomes Liz Kara and Jennifer Sena to the Convention Sales Team as new Regional Directors of Sales. Kara will serve the Midwest market from Chicago, and Sena will serve the Northeast from her New York City area office. Kara and Sena will join existing teams in these markets and help grow Greater Fort Lauderdale’s reach in these critical areas of the country. “We are excited to have Liz and Jennifer join our Convention Sales Team, and we know their impressive experience and deep-rooted customer relationships will help us dramatically grow our presence in the Midwest and Northeast markets,” said Ed Simon, Senior Vice President, Convention Sales & Services, Greater Fort Lauderdale Convention & Visitors Bureau. Prior to the Greater Fort Lauderdale CVB, Liz Kara represented the Monterey County Convention & Visitors Bureau. In this role she represented 255 hotel properties, 12,000 rooms and the Monterey County Conference Center during a long-term renovation project. Her previous experience includes selling Marriott’s Oak Brook Hills Resort, Eaglewood Resort by Benchmark and the independent Pheasant Run Resort, all in Illinois. Kara serves as current President of Destination Reps, a group comprised of convention bureau satellite offices that are based in the Chicago area. She also leads the MPI Chicago Area Chapter Leadership Development Committee and is an active member of the Association Forum of Chicago, PCMA Greater Midwest Chapter and SITE Chicago. Kara was recently recognized as the Up-And-Coming Supplier of the Year by Illinois Meetings & Events Magazine. Prior to joining the Greater Fort Lauderdale CVB, Jennifer Sena served as president/founder of SENA Sales & Marketing, a New Jersey-based, full service sales and marketing company serving clients in the hospitality and tourism industry. Sena’s experience also includes representing Caesars Entertainment as In-Market National Sales Manager and as National Sales Manager for the Puerto Rico Convention Bureau, representing hotels with more than 14,000 rooms, a 600,000 square-foot convention center and Destination Management Companies (DMCs). During her tenure with Marriott International, she was awarded the 2004 Northeast Sales Rookie of the Year. Sena pursued her business management degree at Saint Peter’s University in New Jersey. She completed a certificate program at New York University in Meeting and Conference Planning and Event Marketing. In March 2017, she received the SITE Certified Incentive Specialist (CIS) designation.